When we go online, there are lots of factors, that can annoy us; loading speed, design, pop-ups, and so on. But one of the worst problems there are, is needing something and not finding it (fast enough). No matter if it’s googling for information or spotting a product in a store. Sitting in front of that screen and having to scroll through lots of stuff before finally getting to the desired piece can destroy good humor. In the offline world, we usually know our way around to find what we are looking for or at least there is somebody we can ask. So online, even though there is no nice person greeting us as we enter the shop and asking us if there is anything she can help us find, we don’t want to look at every single product before being able to check out. And luckily we don’t have to, as there are different ways websites are built and contents are ordered for our convenience. There are lists, there are search forms, there are categories and filters, and so on. 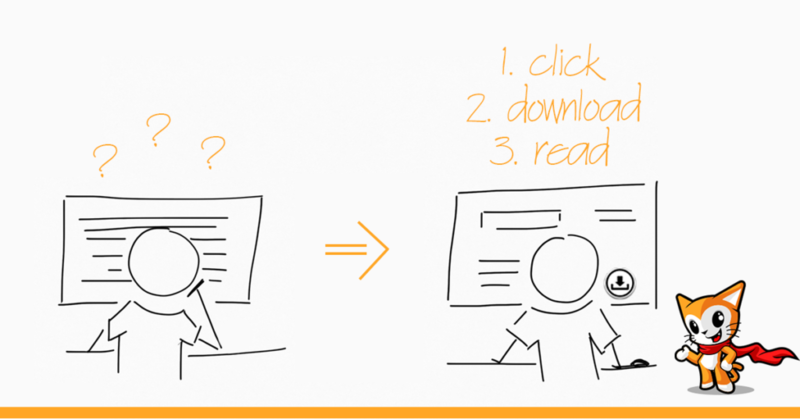 Offering a variety of downloads is not much different from offering products. At least not for the user. So we should bring the same convenience of web stores to our download-site, instead of having users scroll through seemingly endless lists. How can I make it easier for my visitors to get to their desired download? Basically all of these actions show that you care about your users’ time, bringing some convenience to their online browsing. Include it, publish the page and you can be done. The page comes pre-set with all the features listed above. But you don’t have to leave it just that way. There are a couple of attributes to include, if you want to change the look, the items or the amount of listed downloads. In the example I for example didn’t need the featured downloads, as I display them already in a widget. You can find a list with all the possible shortcodes in the Page Addon documentation. All my downloads are sorted and stacked according to their categories in the download page. To help them find items, they can either search for them or look through the tags as well. If they enter one of the category pages, they will find a list of all downloads related to this category. They can then also be sorted by date or download count. So if they are looking for the newest release of a presentation for example, they can just pick last “date added”. 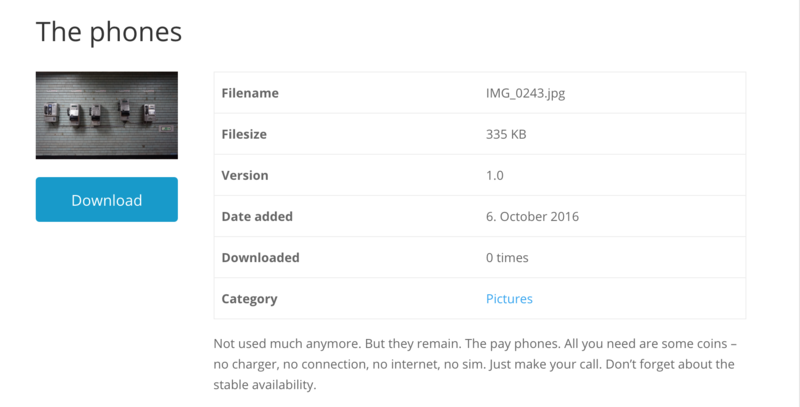 Lastly, on the download overview page, users can now find all the information about the specific download. That means, not only do they know the file name and size, they see immediately the version, the date added, the category and the amount of downloads so far. They could even jump between the versions here. And you can now also see the download description you entered in the download settings. Everybody should know at that point, if they are on the right download or not. And then quickly receive what they were looking for. 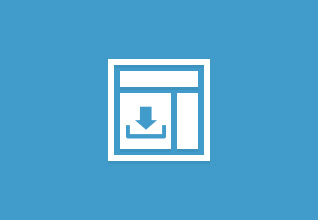 Add a self contained [download_page] shortcode to your site to list downloads, categories, tags, and show info pages about each of your resources. Download Monitor is a plugin for uploading and managing downloads, tracking downloads, and displaying links. It provides an interface for uploading and managing downloadable files (including support for multiple versions), inserting download links into posts, and logging downloads. WP Car Manager CSV Exporter Released! Join the Never5 newsletter and receive updates and member-only benefits.